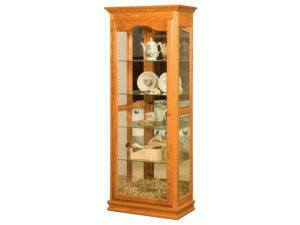 Display your figurines and other nice stuff in a curio cabinet from Brandenberry Amish Furniture. Amish artisans custom build each unit. So they’re sturdy and long-lasing. 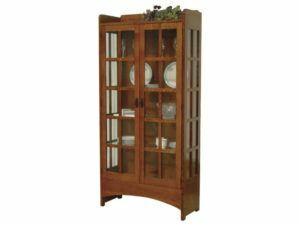 Plus, with more than 15 to choose from, you’re sure to find the curio cabinet that’s perfect for your home. 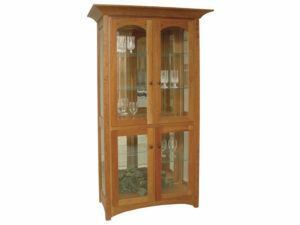 The classic design and smaller profile of the Amish Low Curio features plenty of storage. 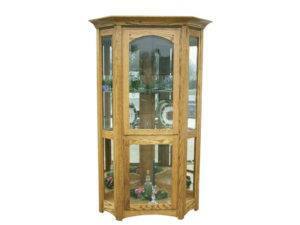 The Heritage Curio offers fine Amish craftsmanship and classic design. Shown in Oak. 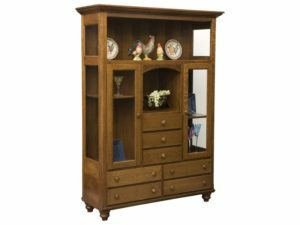 The stately Amish built Judge Bookcase boasts plenty of dynamic storage space. 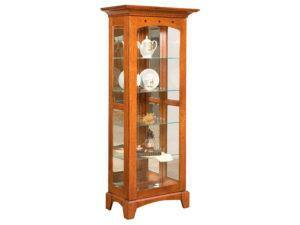 A traditional, timeless design marks the LaGrange Corner Curio Cabinet. The classic Midway Mission Curio Cabinet features fine wood mullions. Elegance and space meet in the Royal Mission Corner Curio. 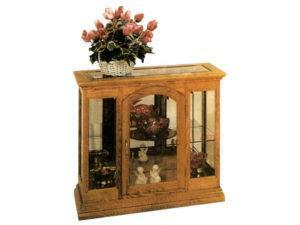 The Royal Mission Curio offers fine Amish craftsmanship and beautiful inlays. Shown in Quarter Sawn White Oak. Fine hickory wood construction gives the Royal Mission Four Door Curio an eye-catching style. A sleek profile and rich stain accents the Sheridon Curio. 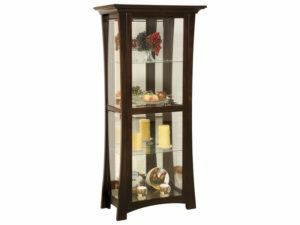 The updated arched door of the Tall Square Curio features a adjustable glass shelves. Shown in Oak with Seely Stain. Every curio cabinet in the Brandenberry collection is an expression of detailed craftsmanship and timeless beauty. Skilled Amish cabinetmakers hand-make each cabinet. And they use solid hardwood and other top-quality materials. Plus skills handed down from their ancestors, along with modern technologies. So this dedication to the craft of woodworking results in curio cabinets that are spacious and elegant. Also, they are very durable. In fact, with proper care, the cabinet you choose should last for generations, even becoming a cherished heirloom. 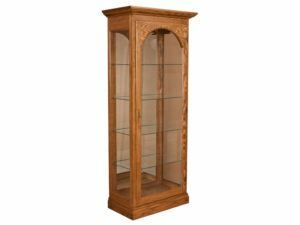 Browse our full selection of curio cabinets. And imagine which piece will be the best fit for your home.